1. We have an almost 100-year tradition of citrus beauty queens. The first Florida Citrus Queen was crowned in 1924, and they kept on coming every year (except for 1944, at the height of World War II) until 1984. The Citrus Queen was not just another pretty face—she was expected to represent this extremely important industry all year round, and to meet and greet with all kinds of important people, including the president of the US. 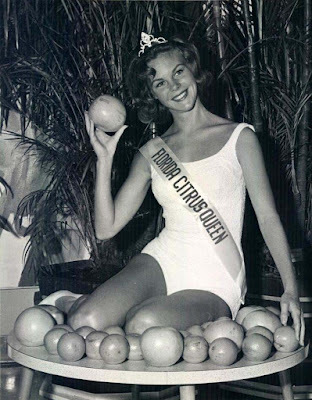 In 1983, the name was changed to Miss Florida Citrus and the titleholder became a full-time employee of the Florida Department of Citrus, promoting Florida oranges, tangerines, grapefruit, and other citrus across the state and the country all year round. However, in 2003 Miss Florida Citrus concept was retired, seemingly for good. Yet the Citrus Queens did not go quietly, and in 2015, the pageant was revived, to much fanfare. 2. We built a majestic 226-foot tall tower in the middle of orange groves just to celebrate citrus. Did you know the highest point in Florida is a tower built to celebrate citrus? Strange, but true. 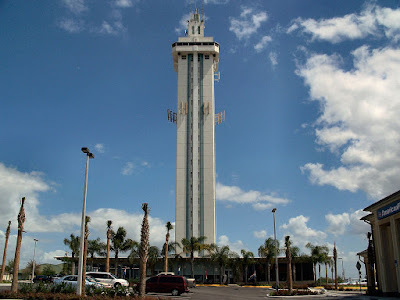 The Florida Citrus Tower is 226 feet tall (500 feet with its antenna) and juts up like a skyscraper out of the flat Florida landscape. 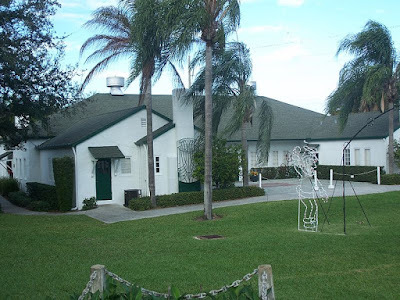 It was built in 1956 on what was then Florida’s major north-south highway, US 27, and its intention was to celebrate the citrus industry and attract tourists, who would ride to the top and marvel at the green groves of oranges all around. Today, that area’s focus has changed. Though you can still see a few citrus groves from the top, suburbia, development, and the skyline of Orlando are mostly what’s on view from the glassed-in observation deck. You can still apparently drop a coin from the top of the tower and listen to it fall all the way down, which is pretty neat. 3. The funky labels from our old citrus packing boxes are now considered serious art. Citrus crate labels originated in California in the late 1800s. Like food packaging today, they were a way for producers to make their product stand out or remain memorable in a crowded market. However, as time passed, the original, humorous, and colorful art featured on the large wooden crates became of interest to collectors. Today citrus crate label art is featured in books and museums and can be extremely valuable. 4. We have an entire museum dedicated to the citrus industry. It’s called the Indian River Citrus Museum and it’s in Vero Beach, FL. You can see historic photographs, weird citrus artifacts, and a cute little scale model of a citrus processing and packing plant. And of course, you can visit the gift shop (what museum doesn’t have a gift shop? ), where you can buy all kinds of neat vintage-inspired and retro citrus items. You can also take dance lessons or have a wedding in the pretty old historic building. 5. 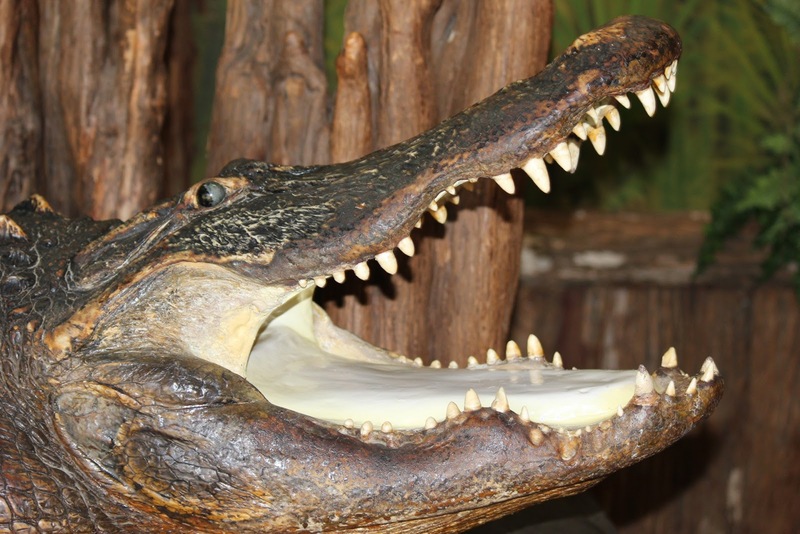 We’ve been selling citrus, souvenirs, and other weird stuff (taxidermied gator head, anyone?) at fun, kitschy roadside stands since the 1920s. If you’ve driven one of our major highways, you’ve probably seen giant billboards pleading with you to stop for fresh Florida orange juice, oranges, grapefruit, and much, much MORE! These stands can range from glitzy brand-new affairs to time-worn, faded remnants of a Florida gone by, and they’ve been around since the ‘20s, when they lured in southbound tourists eager to taste fresh Florida oranges and bask in the sun. At the best of them, you can still buy truly fresh orange juice and other high-quality citrus, along with fun Florida souvenirs like seashell wind chimes, postcards, t-shirts, and citrus candy. And yes, you might find some live baby gators lounging in an aquarium, too. 6. 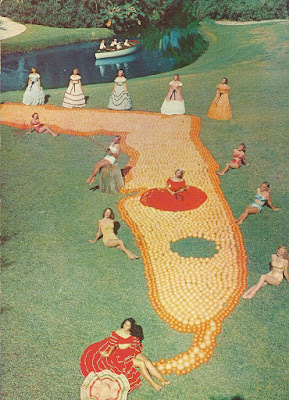 We’ve used some really crazy postcards about citrus to market Florida. Back in the early 1900s, part of the exotic allure of tropical Florida was the fact that you could enjoy fresh oranges and grapefruit in what was the dead of winter up north. Marketers trying to sell tourists on the trip really played this up, depicting a world where folks waltzed around through the groves plucking citrus at will or where whimsically giant fruit was carted around in wagons. Later, it became popular to create and photograph giant scenes out of actual fruit, often with women in voluminous skirts posing around them. 7. Florida oranges have their own Disney mascot—the Florida Orange Bird—with quite a history. The Florida orange bird was created in 1970 as a joint project between Disney and the Florida Citrus Commission. 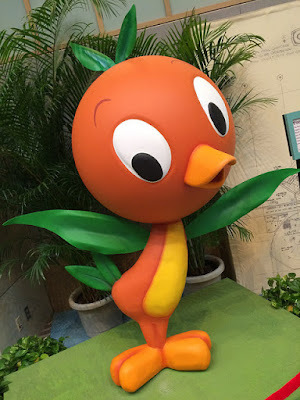 This cute, citrus-headed bird was meant to promote both Disney and the citrus industry, and he was featured prominently in the park for a while—there was even a live costumed “character” who roamed around for photo ops. The Orange Bird was briefly “hot” and even had his own record (with songs sung by Anita Bryant) and picture book. But after Bryant voiced some controversial political views, he was retired for some years. In 2004, the Orange Bird made a triumphant return, in part due to his wild popularity in Japan. He can again be seen at Tomorrowland Terrace at Disneyworld, where you can also enjoy some delicious orange freezes and other citrus treats. Florida and citrus have a long and amazing history together--we just wouldn’t be the same state without these sweet, delicious, amazing, and valuable fruits. Try some today!